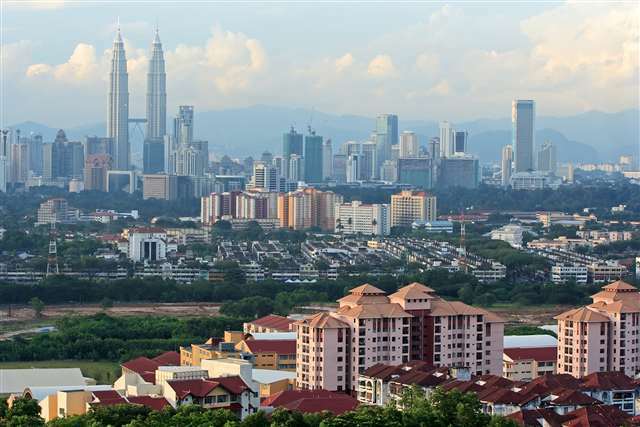 KUALA LUMPUR, 17 February: The Malaysian property market will remain subdued this year, with oversupply concerns in the retail and commercial sectors, said property consultants Rahim & Co.
“On the commercial side, there is a problem of oversupply. Within the next two to five years, 15 million sq ft are coming into the market. That is worrying because the occupancy rate of office space has now dropped to sub-80 (less than 80%). If you own a building and you cannot rent out 20% of your space, then you are going to get into some trouble in your cash flow,” said Tan Sri Abdul Rahim Abdul Rahman, Executive Chairman of Rahim & Co International Sdn Bhd. “The older buildings are going to suffer. The new buildings may be okay. On the positive side, rentals are not going to go up anymore,” he told reporters at a briefing yesterday. Based on Rahim & Co Research’s Property Market Review 2016/2017 report, office space supply in Kuala Lumpur hit 90.8 million sq ft in the third quarter of 2016, with average occupancy rate falling to 79.7% from 81%. The total supply recorded a slight growth of 0.6% from the same period in 2015, with additional new space of 509,000 sq ft. By 2020, more than 10 million sq ft is expected to be ready. Rental levels last year were stable for good buildings, with Grade A offices commanding gross rental rates of RM7 to RM8.50 per sq ft per month. Leasing activities were favourable to tenants as the absorption rate is expected to drop due to the financing and banking, oil and gas and related sectors scaling down their offices. On the retail side, Abdul Rahim said the numbers are rising with an estimated six million sq ft of space entering the market in the next two to three years. He said well-managed malls in good locations with ample parking facilities will remain popular and consumer spending will continue in these malls but those that are further away are suffering in terms of footfalls. “I don’t know the tipping point (for retail space) but I would be comfortable with an additional two million sq ft; not eight million sq ft or more,” he added. In the first nine months of 2016, total retail space supply rose 8.2% year-on-year to 30.7 million sq ft with average occupancy dropping to 84.7% from 86.5%. Overall, the rate of decline in property transactions is expected to slow down to 5-10% this year from the estimated 10-15% in 2016, before picking up again in 2018 with an estimated 10% rise in the next 24 months. Sulaiman Akhmady Mohd Saheh, Rahim & Co’s International Research Director said total transactions fell 11.9% to 239,983 in the first nine months of 2016 while the total value of transactions fell 16.4% to RM95.4 billion. The total value of transactions for 2016 is estimated to drop 5-10% and remain flat this year. “We think that 2017 will still be a slow year but the decline will not be as sharp compared with last year,” he added.